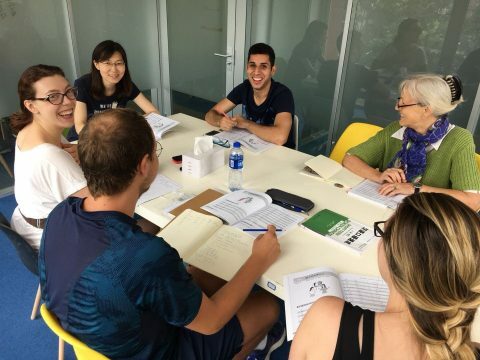 Learn Mandarin in China with our small group classes at our perfectly located Shanghai centre. Enjoy first rate group classes with our fully certified, expert teachers who are experienced in getting the best out of our students. We keep our groups small with no more than six students per class and an average of less than three students per class. Enjoy learning Mandarin whilst making friends from around the world. You will develop strong friendships as well as enhanced Mandarin skills. 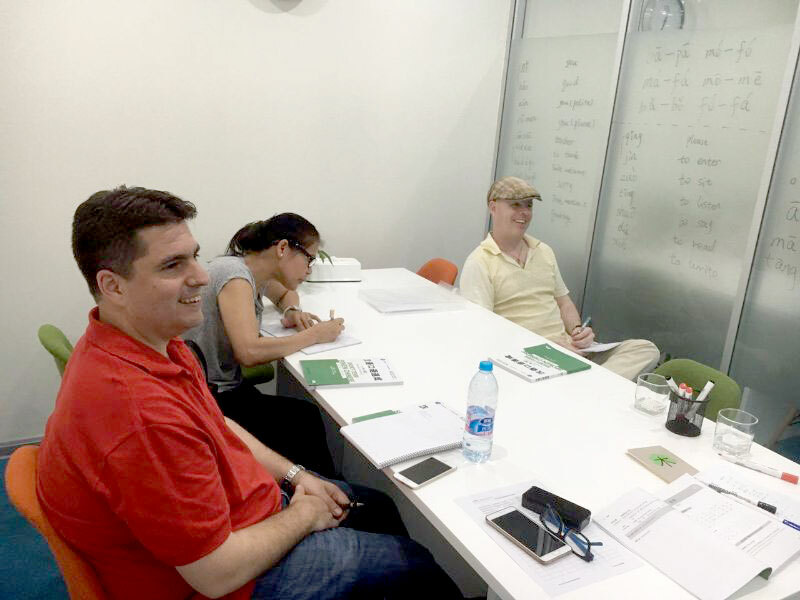 Our small group courses will focus on all elements of Mandarin. Speaking, listening, reading and writing are all covered so you’ll have all bases covered. Our very popular small group courses are a great way to push your Mandarin to the next level. 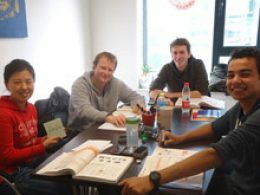 You will enjoy top class teaching and a great mix of friends whilst you learn Mandarin in China. Lessons are flexible and will never be the same. Enjoy reading, writing, speaking and listening so your Chinese progresses in all areas. Our Chinese course in Shanghai covers all bases. We really believe our teachers are the best in the business. Fully qualified, experienced and great fun. It’s not easy to become a teacher at LTL. The process of selection is difficult so you can rest assured the teachers we have on board are the best Shanghai has to offer. All our prices are listed in CNY (Chinese Yuan) but you are welcome to pay in any other currency. There are no hidden charges either. No registration fees, no processing fees and no extra text book fees. For accommodation options visit our Shanghai Accommodation options page. We also offer a special discount if you book your Chinese course over the Christmas period. More details of this can be found via our Discounts and Supplements page. "Having heard lots of positive feedback I decided to give it a go. I’d recommend this kind of class to anyone who wishes to come to China and learn the language. The classes are small and intimate, you can develop friendships as you study the language. Thanks LTL and the staff for a great experience." 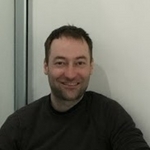 "The teachers quickly helped me refresh my speaking skills and I progressed rapidly. I am extremely happy with the level I was able to obtain in only 2 weeks of study with LTL. 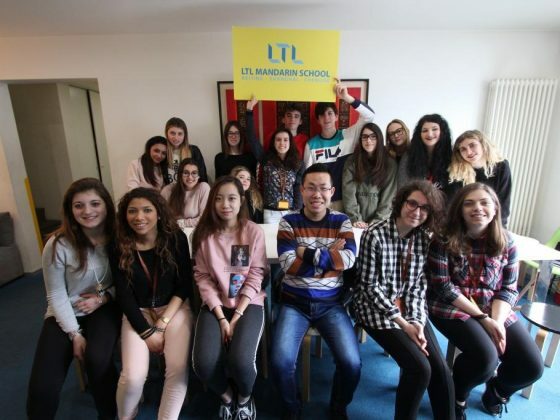 Beyond the excellent instruction, what makes LTL special is its student community." 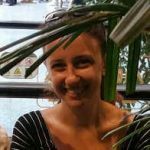 "I finally decided for LTL, not only because of the small group classes but also because of the after class activities with other students which made it so attractive for me. 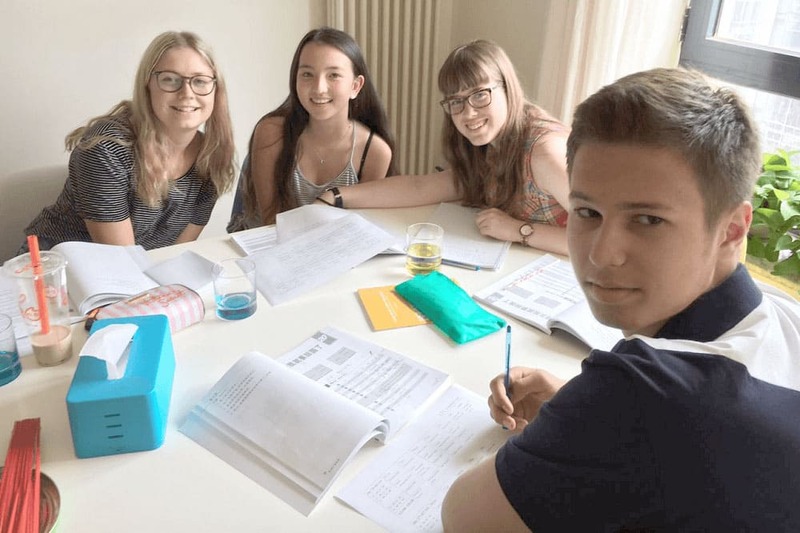 My group with two students was very small, which made the study nice and smooth." My name is Jasmine and I’m from Italy. I wanted to study Chinese in China and having heard lots of positive feedback about LTL I decided to give it a go. My friend studied here before and that was really important for me. I didn’t have a huge preference on Beijing or Shanghai, I just wanted to study and learn the language. I didn’t really suffer from any pre-China nerves and my first few days were relaxed and comfortable. The airport pickup was so useful and my driver was actually really funny! It takes any hassle away of fighting for taxi’s and they take you straight to your accommodation. The program I joined was the Small Group Classes. I had a number of teachers, four overall, but they were all brilliant, I was really happy with them. I really liked them and the different methods they used. I couldn’t pick a favourite, they were very accommodating and friendly. I was keen to learn so I had many questions every lesson but they always had time for me and they satisfied my requests every time. I really appreciate that and I wish to thank them for helping me improve. I’d recommend this kind of class to anyone who wishes to come to China and learn the language. The classes are small and intimate and you can develop friendships as you study the language. Thanks LTL and the staff for a great experience. I discovered LTL through their excellent reviews on Tripadvisor and other websites. 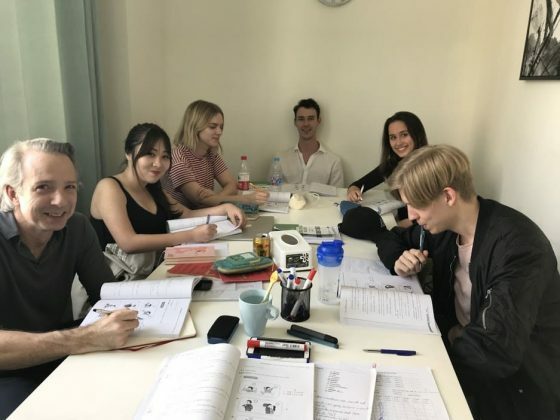 I was already planning to travel to Shanghai to visit a friend and to make the most of the trip, I enrolled in a two week small group class combined with private lessons. I had four teachers who used a combination of immersion and bilingual teaching methods. Although I had studied Mandarin Chinese almost 10 years earlier, it had been several years since I had last studied in Shanghai. The teachers quickly helped me refresh my speaking skills and I progressed rapidly. I am extremely happy with the level I was able to obtain in only 2 weeks of study with LTL. My accommodation was conveniently located just 20 minutes walk from the school. I enjoyed walking to class each morning and using my language skills to order breakfast on the way. The school and my accommodation were well-located in a very popular area of the French Concession. There were many restaurants and shops to enjoy after class. 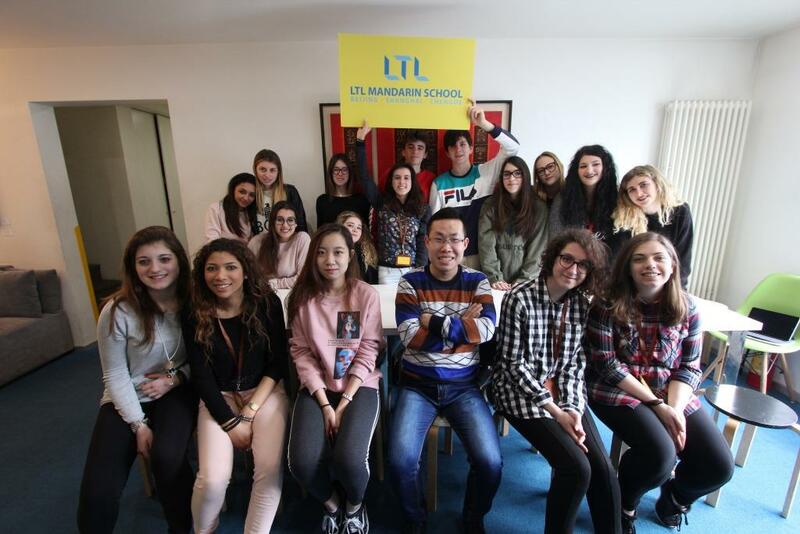 Beyond the excellent instruction, what makes LTL special is its student community. I enjoyed meeting other students with diverse backgrounds and nationalities. The school fosters a very collaborative learning environment and offers many opportunities for you to get to know your peers. The Wednesday group dinners are a must! I already studied a little bit Chinese, and now I wanted to improve my basics. Since I have been to Shanghai already and liked it a lot, this time I wanted to attend a language school. The variety of schools made a decision very hard. So I finally decided for LTL, not only because of the small group classes but also because of the after class activities with other students which made it so attractive for me. The package was four hours a day, on five days a week. 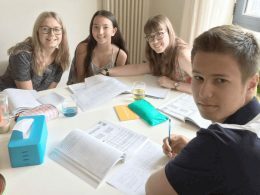 My group with two students was very small, which made the study nice and smooth. Later I even added another 1-on-1 class (single lesson). After all I had class with three different teachers, who were all very professional and designed the lesson according to my knowledge. We practiced both, the speaking and writing with Pinyin and Hanzi. Hanzi is quite difficult, I had some problems but never the less it’s a lot of fun. I could improve my Chinese so far, that I was able to come along in Shanghai very well. Although many Chinese speak the Shanghainese dialect which is a little tricky, but when you once got it, and you can have simple conversations with Chinese, you can easily find new friends. That’s what i did, also thanks to the promised after class activities from LTL. It was very versatile and started with visiting different restaurant to learn more about Chinese food and ended with nice movie night, of course with original Chinese movies. The Language Mix I liked most, where people from all over the world gather in a nice Café and talk in all kinds of languages (mostly Chinese of course). You can meet many different people and improve your Chinese listening comprehension a lot. After all you can have a nice stay in Shanghai. The six weeks went by so fast, so that I’d like to add another one or two month. Unfortunately I have not enough time and so I hope to come back to Shanghai soon. and writing them. As our syllabus is modern we focus a lot of our character classes on recognition via reading. The need to actually handwrite Chinese characters isn’t what it was before given the nature of technology today. Can I request a certain teacher? Our Director of Studies will aim to place you in the best possible class which includes the right teacher(s) and the right classmates based on your current level. That said, if you have a certain preference of teacher please speak to us and we can see if this is possible. Our Shanghai Centre is right in the heart of the former French Concession. Our nearest Metro stop is South Shaanxi Road Exit 7. From there it is a short walk to the centre. What will my class schedule be? You will receive a schedule from our Director of Studies before the course begins. Generally small group classes in Beijing, Shanghai, and Taipei run from 10am-12pm, a one-hour lunch break and then 1pm-3pm. How fast can my Chinese language skills really progress? It can progress as fast as you want it to progress. Ultimately a lot depends on what you do outside of the classroom. As a general guideline, a complete beginner can reach HSK1 in two to four weeks. HSK2 can take roughly two months and this will involve basic conversation. Five to Seven months for HSK4 which will include more in depth conversations and fluency can be achieved in a year. 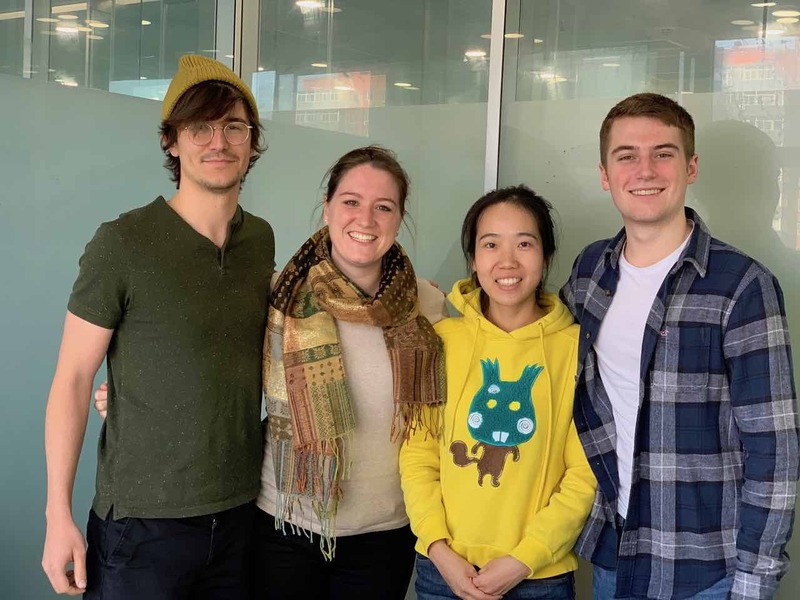 TIPS – Living in a Homestay, speaking Chinese after class and making Chinese friends also play huge factors in the ultimately speed of fluency. 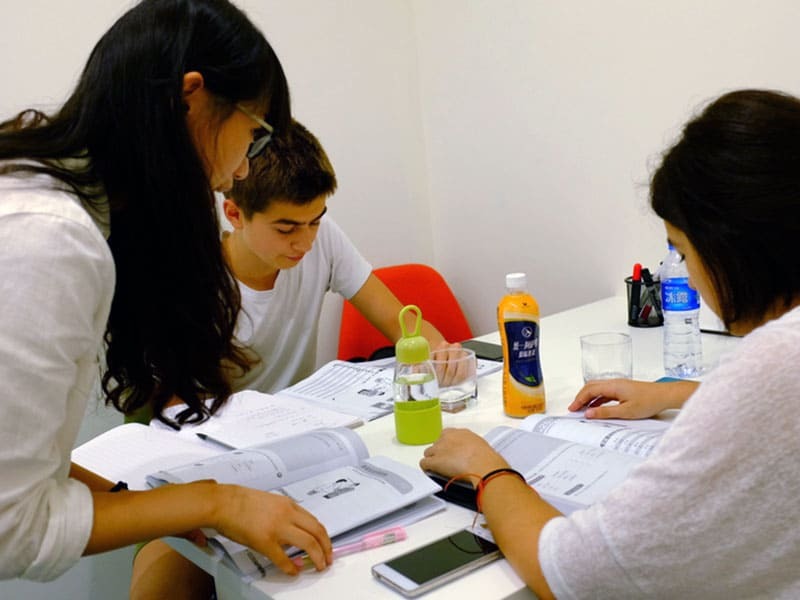 Our classrooms are a comfortable and modern place to study Mandarin in China. Our Shanghai centre can boast bright and spacious classrooms. All facilities you’d expect are included such as tables, chairs and whiteboard. Air Conditioning is included in all classrooms for the warmer summer months and heating for the cooler winter months. 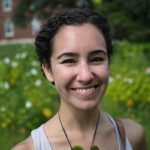 Can I switch a class? Yes. We will speak to our Director of Studies to fit you into a more suitable class if this is necessary. You will yes but this only speeds up progression. Ultimately students at LTL are here because they want to be. Students are driven and want to learn Chinese in China, therefore they understand this only helps progression when studying Mandarin. What is there to do in Shanghai? A city with over 25 million people, it’s not exactly somewhere you get bored! Studying Mandarin 1 on 1 in Shanghai is a sure-fire way to improve your Mandarin ability. All the focus is on you, and you learn what you want to learn, and what you need to learn. 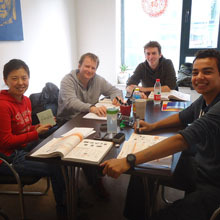 Study Chinese in Beijing in a small group at a time that is suitable for you. LTL Mandarin School offers you first class Chinese lessons with fully certified and experienced teachers.